Need to gather the views of others who may be working to tackle a similar problem? Want to sound out your latest ideas? Welcome to our blog. 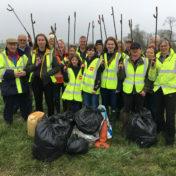 Over the weekend of 6 & 7 April, hundreds of volunteers put on their hi-vis jackets and found their litter pickers to take part in the Countryside Alliance’s Countryside Clean Up. 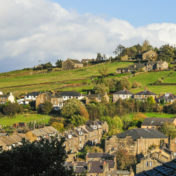 The Rural Services Network, rural services providers and community organisations across England are coming together to call on the Government to produce an urgent comprehensive strategy for rural areas in preparation for Brexit, in light of a warning that people living in ours towns and villages “simply cannot afford to wait any longer for politicians to take their concerns seriously and act on them”. Concerns have heightened over the last few years on the impacts rural crime is having on the farm businesses of NFU members, as well as on their families and on their communities. 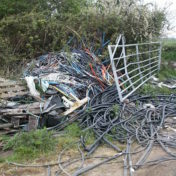 A Multi-Agency Fly tipping Working Group (DFWG) first met in Dorset in May 2018 with the intention of bringing together partners with an important role to play in tackling incidents across the region. 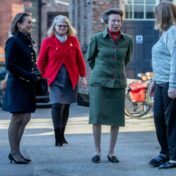 On 15 February 2019, Victim Support had a very important guest - not only to discuss the very important issue of rural crime but also to meet with staff, volunteers and service users in her capacity as our Patron. The Countryside Alliance is calling on everyone to report all rural related crimes to the police, no matter how insignificant. Although a simple ask, too often we hear that there is ‘no point reporting a crime because the police will not follow it up’. However, that is simply not the case and in many cases the reporting of the crime has additional benefits. 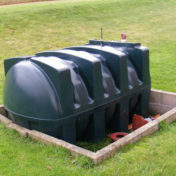 Now the clocks have gone back, the nights get longer and the temperatures colder, one crime that increases is fuel theft. 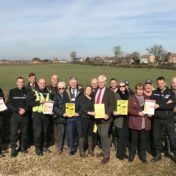 Hare coursing is against the law but there has been an increase in reported incidents over the past few years. 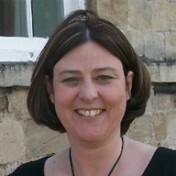 Libby Bateman is an adviser with the CLA and has been working with police and landowners in the fight against this illegal activity. 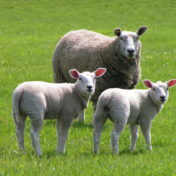 The Countryside Alliance recently attended a conference on sheep worrying and report back for the National Rural Crime Network on the discussions. 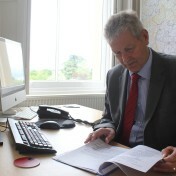 Will Naylor, Deputy Police and Crime Commissioner for North Yorkshire, attended a DEFRA round table on behalf of the Network in April. It was a well-attended meeting with Heritage England, the Environment Agency, NFU, LGA and many others. The College of Policing is the professional body for everyone who works for the police service in England and Wales and the National Rural Crime Network has been working with them to discuss our work, hear their views and ensure we are supporting each other's research. 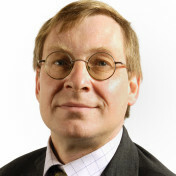 Stephen Naylor, NRCN PR & Public Affairs Co-ordinator visited them on 10 April. 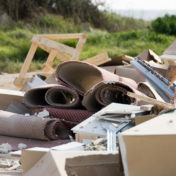 The National Fly-tipping Prevention Group is a group of organisations – including the NRCN – that is working to prevent and tackle fly-tipping through influencing, advising and raising awareness about the anti-social nature and potential health and environmental damage of fly-tipping. 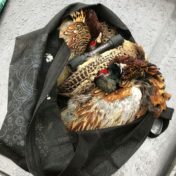 Sarah Lee, from the Countryside Alliance, was there and reports back on its discussions. 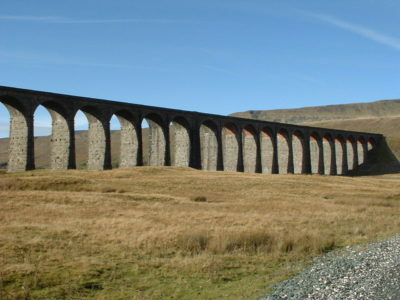 Heritage crime has significant impact on rural communities. Historic England’s Head of Heritage Crime and Policing Advice, Mark Harrison, explains the measures being taken to protect England’s heritage. As Members of the National Rural Crime Network, we wanted to draw attention to the new National Strategic Threat Assessment for Heritage and Cultural Property Crime – something which, given many sites are in isolated and rural locations, is particularly important. As a member of Land Registry’s counter fraud group, I see a range of property frauds being attempted against homeowners. While most of the time we can prevent them, when occasionally fraudsters succeed, the consequences can be devastating for the victims. That’s why I’m keen to make as many property owners as possible aware of what they can do to reduce the risk of becoming a victim. Tim Passmore explains his Force's approach and commitment to dealing with Heritage and Cultural Property crime in Suffolk and why this is being prioritized in the local Police and Crime Plan. Policing is full of numbers and you may be forgiven for being a little bamboozled by the figures that fly around. The most recent Office for National Statistics figures show that many crime types are falling which has given ministers the chance to reiterate their claim that falling crime means the police can work with less money. I strongly dispute that. Yes crime may be falling in some areas but reduction in recorded crime does not indicate falling demand on police officers. West Mercia is the fourth largest policing area in England and Wales and is predominately a rural area particularly in Herefordshire which has one the highest levels of sparsity. 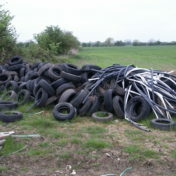 It is an unfortunate fact of life for those of us that live in the countryside that we can fall victim to crime. It is vitally important that home and business owners take precautions to safeguard machinery, vehicles, fuel and livestock. Posted on April 7, 2015 by Julia Mulligan - Chair of the National Rural Crime network and Police and Crime commissioner for North Yorkshire. 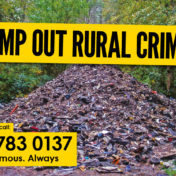 Growing up on a hill farm, and now being the Police and Crime Commissioner for the largest rural police force in the country, I am acutely aware of the blight rural crime can have on our more isolated people, communities and businesses. 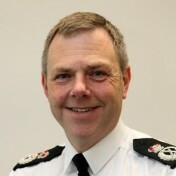 As the National Policing Lead for Rural and Wildlife Crime my role is to give guidance and direction on the development of policing services, akin to the two areas of responsibility, to all police forces in England and Wales.